One of the better issues of Star Wars if I’m being honest, due in no small part to the change in art duties. While I still salivate as I think about Stuart Immonen taking over next issue, Bianchi was a breath of fresh air, her lines being freer and more expressive than Cassaday’s, and the change in colouring didn’t hurt either. 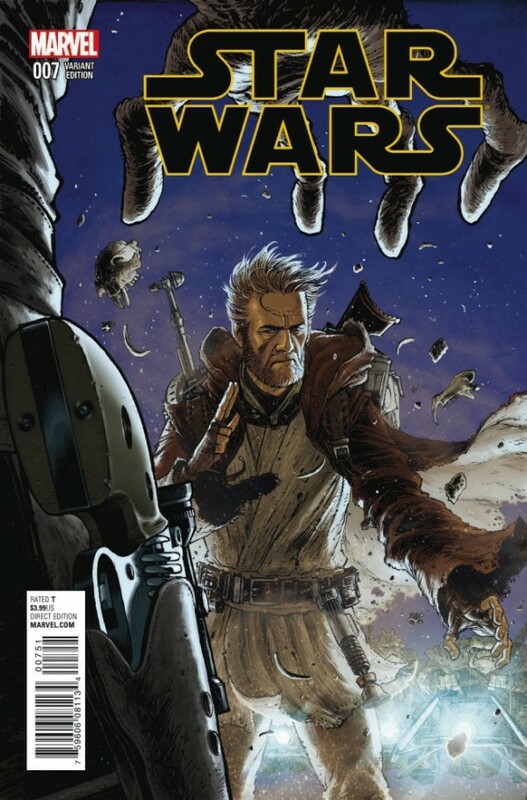 Aaron delivers a little Obi-Wan Kenobi story set in the years prior to Episode IV, detailing his time on Tatooine before linking with Luke Skywalker. This is the kind of back story filling content I really enjoy, it was easy to place the time period and the characters and Aaron keeps things interesting throwing some of Jabba’s goons into the mix. It looks like this kind of story will pop up for time to time between arcs and I’m quite happy with that, giving us a little breather from the regular story.